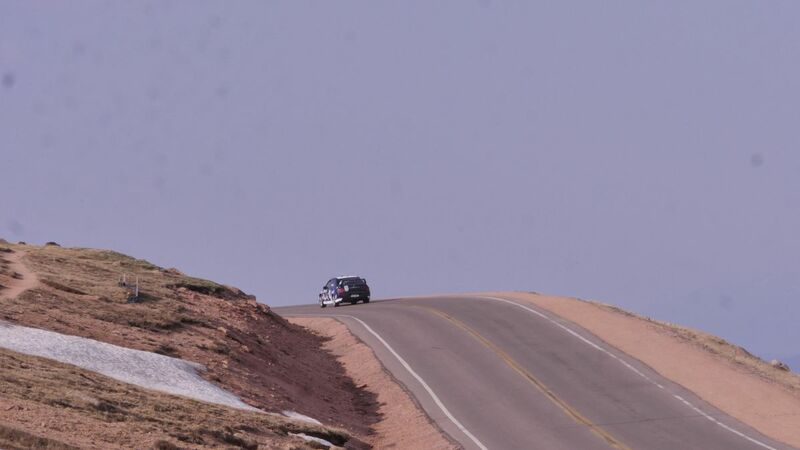 In previous blog entries, I have said that I am a pretty normal guy that is trying to track his car without going broke while maximizing fun. 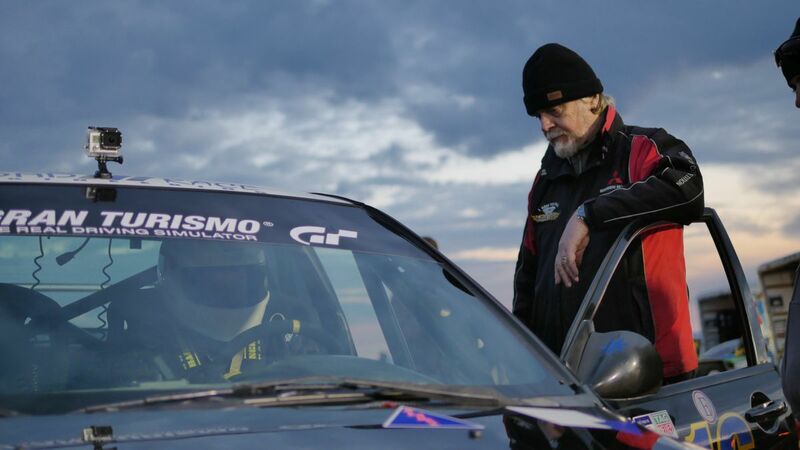 I started writing about my experiences while running NASA’s HPDE series from HPDE1 to 3. 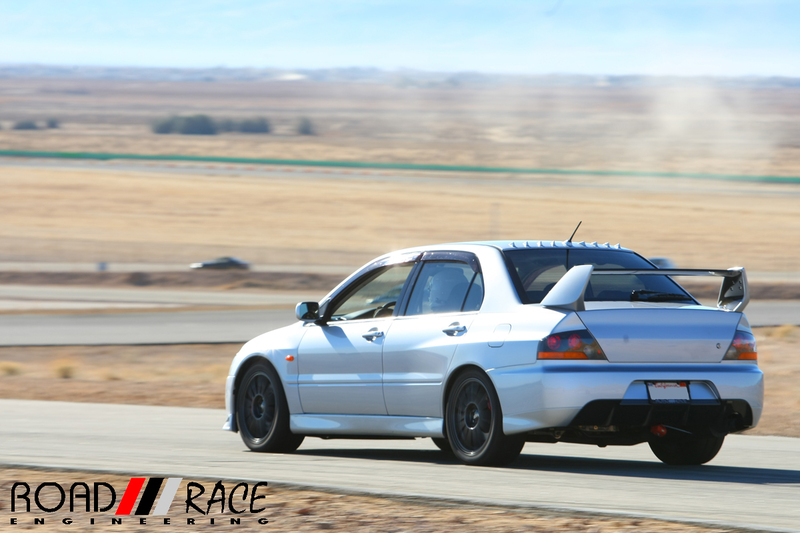 After that, I started trying out some time attack competitions with Extreme Speed in their AWD Challenge. Since starting out, I have had some ups and downs. I have gotten a lot of support and even some hook ups but I have also shattered a piston due to my own stupidity. However, I did not give up and this is the next chapter with a new set up for 2013!! 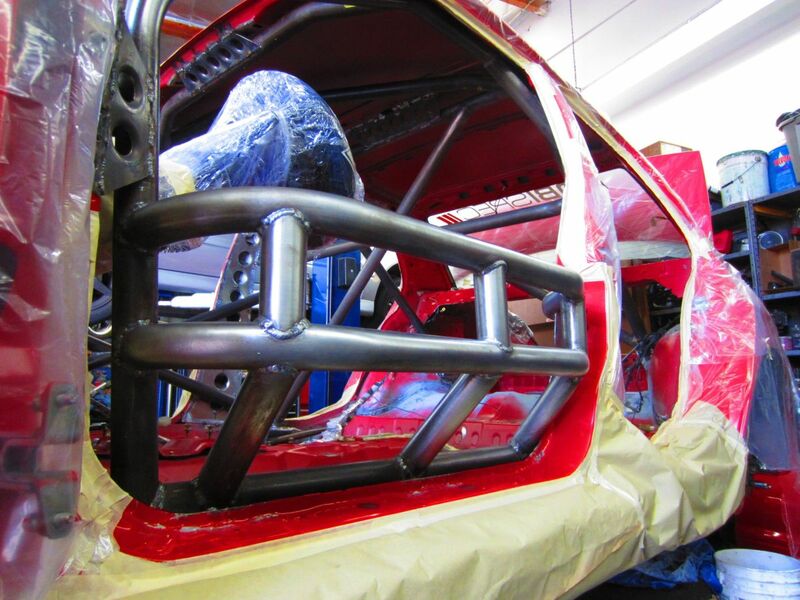 We last left off on this roll cage build with finishing all the welding. Now it is time for the cleanup, prep and paint. 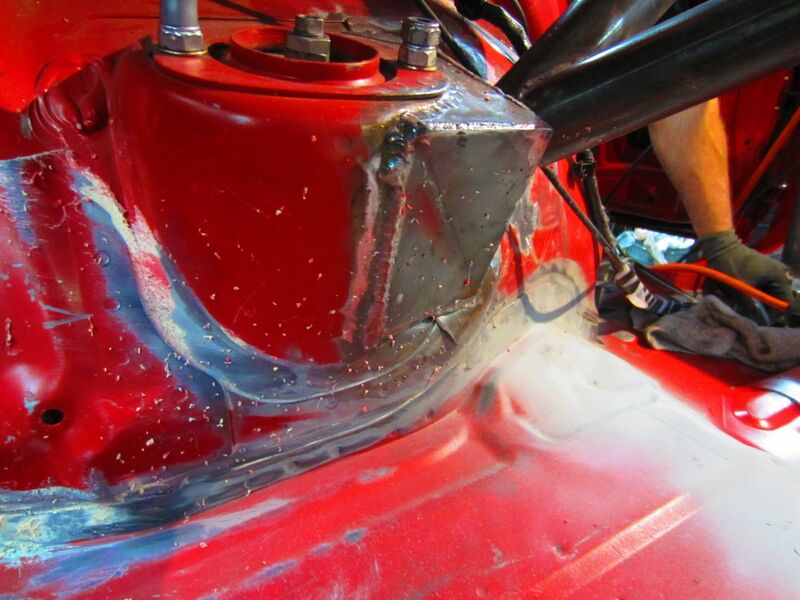 All unnecessary seam sealer and sound deadening gets removed to lighten things as possible. We trimmed off any brackets and tabs. Most small holes get covered and smoothed over with metal tape for a cleaner look. All the bare steel on the roll cage and welds needed to be cleaned and prepped with a light acid wash. Here are the next round of pics building Ben’s full roll cage. 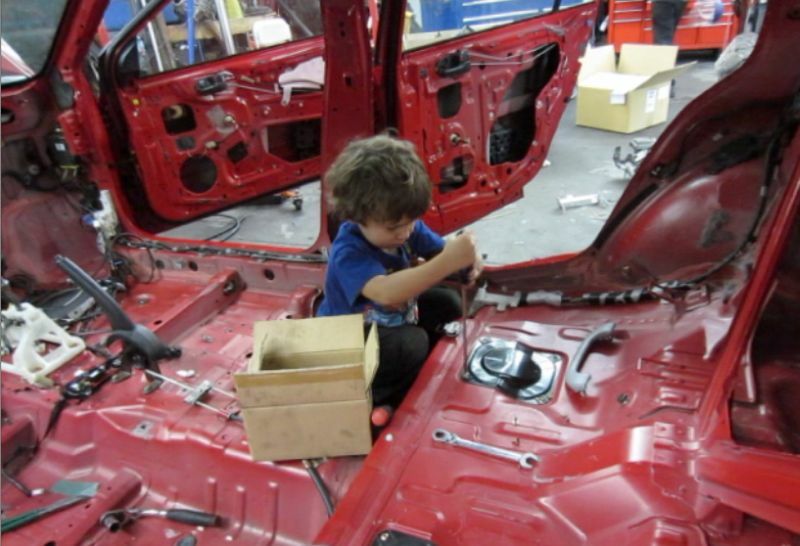 The last article had the car getting stripped and interior cleaned. The main hoop and basic bars getting bent and tacked into place. 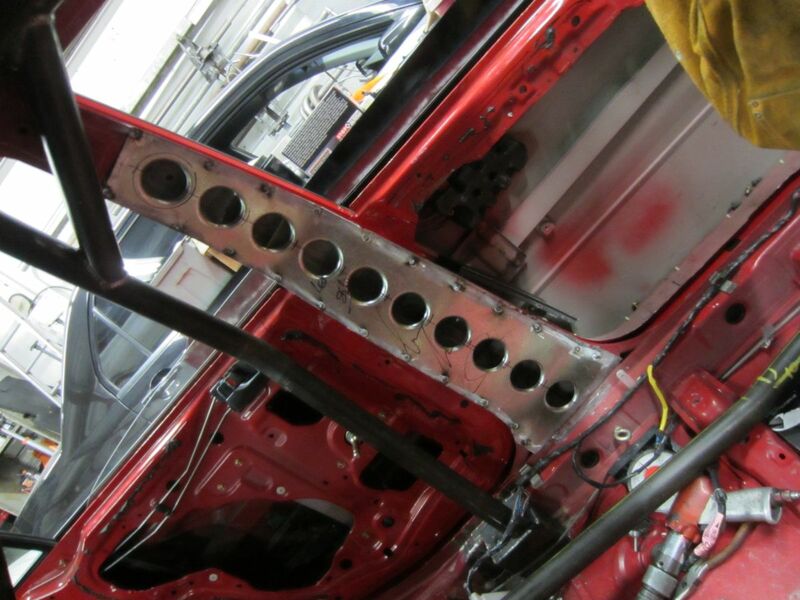 We had dropped the roll cage down off the foot plates to be able to weld all around the tubes up in the roof area. 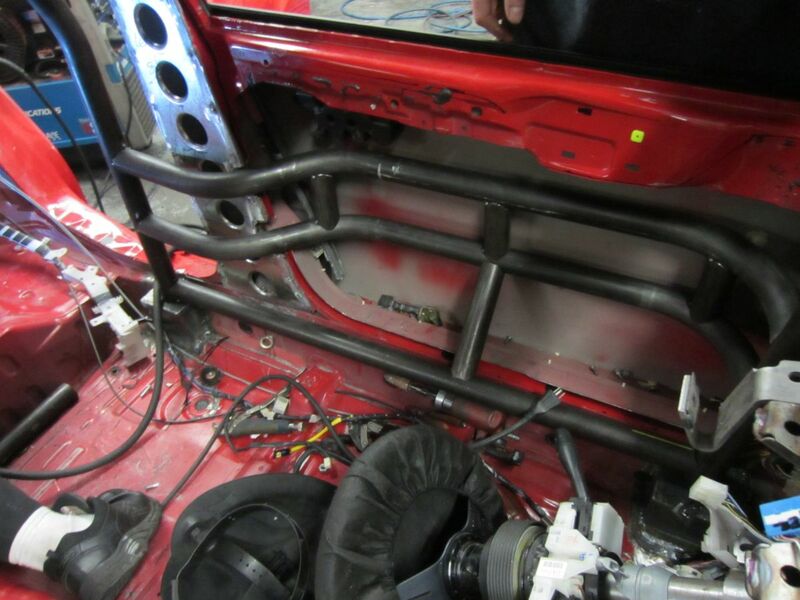 With the upper bars now welded all the way around, the roll cage goes back up on the floor plates and the floor plates get welded in place. The b-pillars are closed back in now that they have been lightened. The first step was to gut the interior. Everything that could be unbolted was unbolted. The dash comes out, carpet, seats, door panels, headliner, wiring and more. Bryce was enlisted to help. Anything with a Phillips head screw was his responsibility. 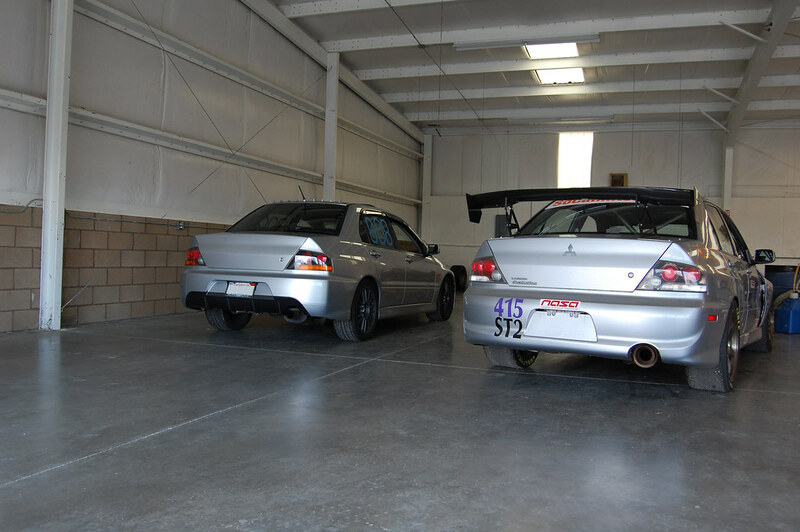 I have been buried for a few months but just before things went nuts with work and life, I got a chance to update my stealthy street/track EVO VIII. 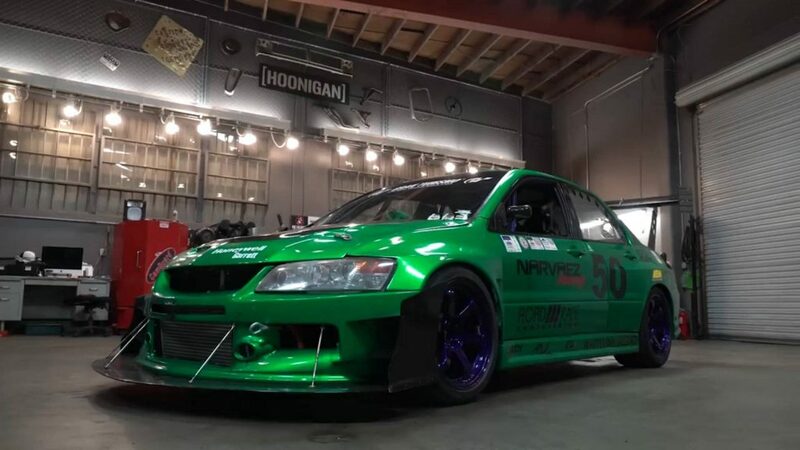 My goal with this car is to have a car that does not get too much attention from unwanted parties and is streetable with a tad of blingage but can still be more than fun to drive to the track, drive on the track and drive home from the track. 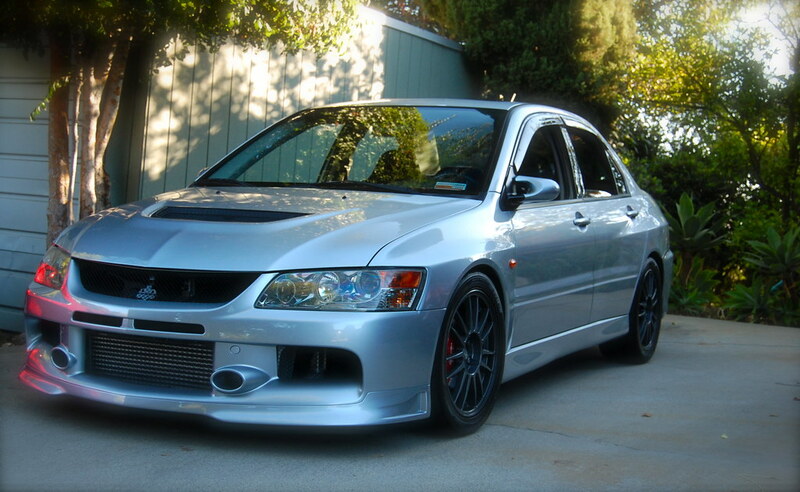 OEM IX front bumper with SE lip and Ganador Super Mirrors. The full feature of the car isn’t on line, you gotta get yourself to the store and buy the November issue of DSPort when it hits the newstand! 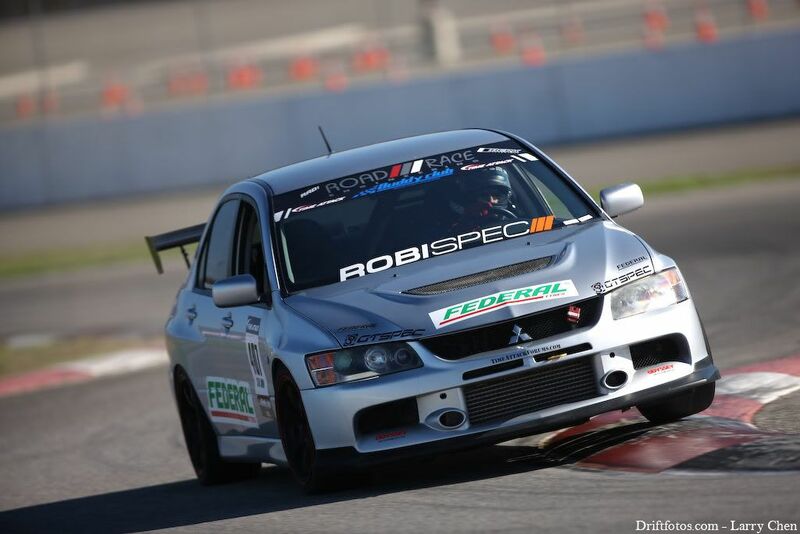 In the meantime, the RRE RalliArt is in the current October Issue. 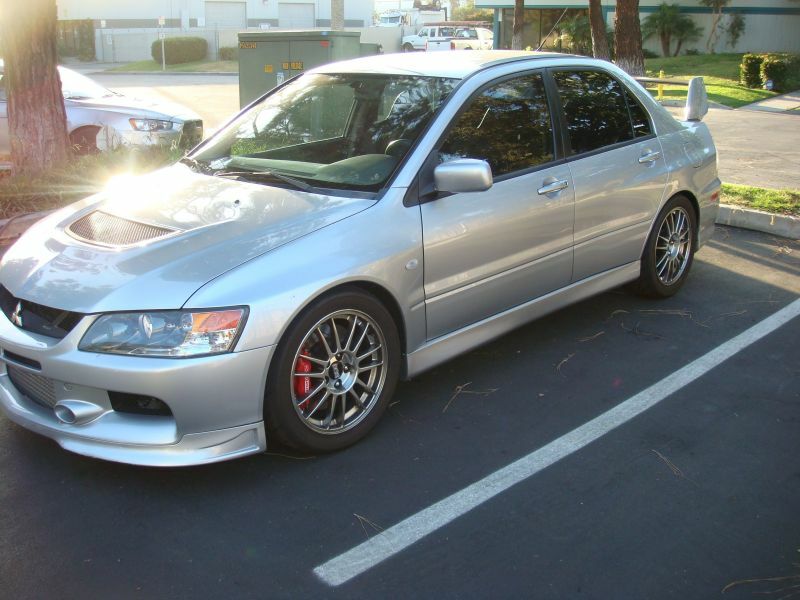 This is the EVO we tuned with the new Borg Warner turbo with the crazy spoolup. 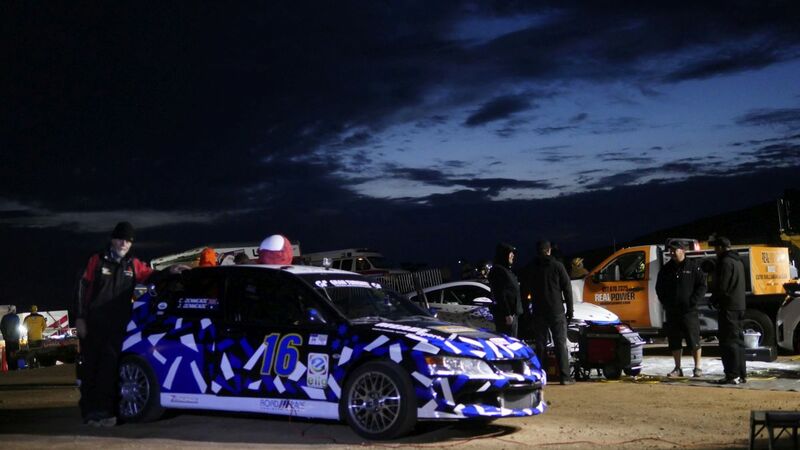 More pics and partial article in DSport’s website. 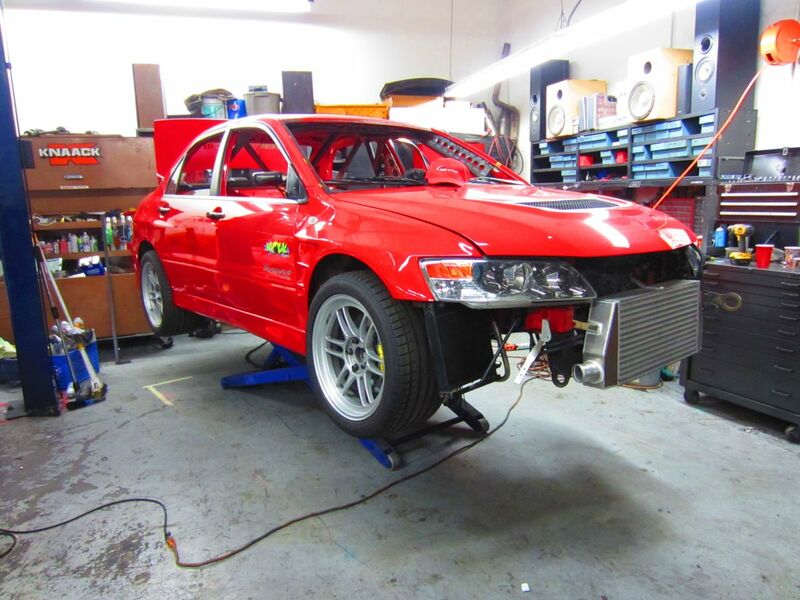 Our Shop EVO 8 is running again after a time out for bad behavior. 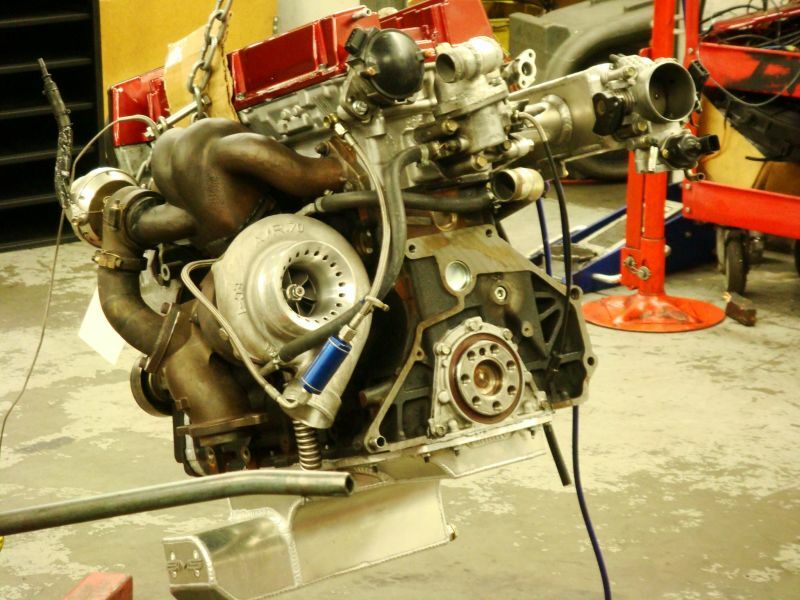 Fresh 2.3 stroker motor ready to make some noise. Monday we have some housekeeping under the hood. 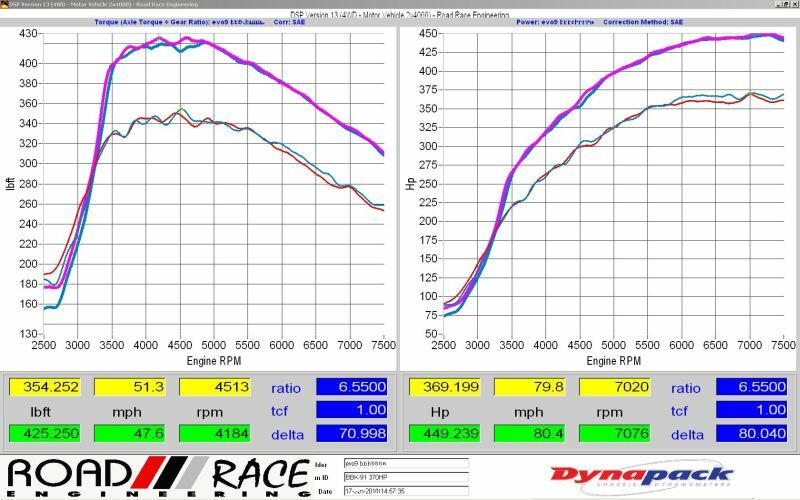 Then some break in miles on the dyno and a retune during the week next week. 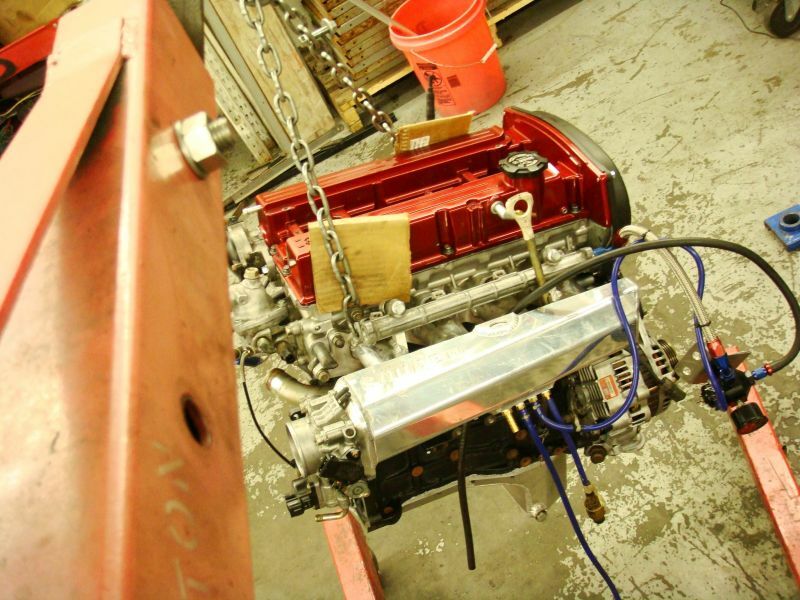 Got the motor in the hole! We are no longer offering this service. Centric changed to a different powdercoating company a while ago and the current finish is not the same as shown in these pics below. Sorry for the older teaser pics. Centric can still do the rebuild on a Brembo EVO caliper and get the rebuild part mechanically perfect. 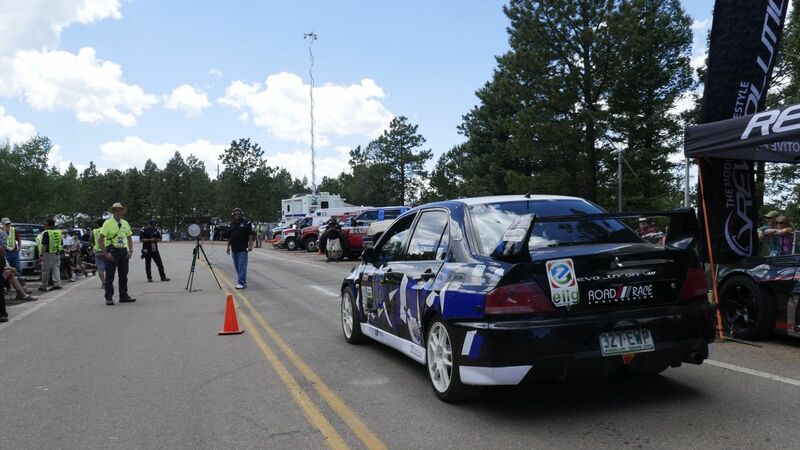 But the powdercoating is more what you can expect for a race car. The caliper will be red. It may have random dirt specs in the finish, it will have orange peal. But it will be stuck down and a high temperature red. Same price as listed below. Sorry but it just is what it is they say. Old pics and original post below. 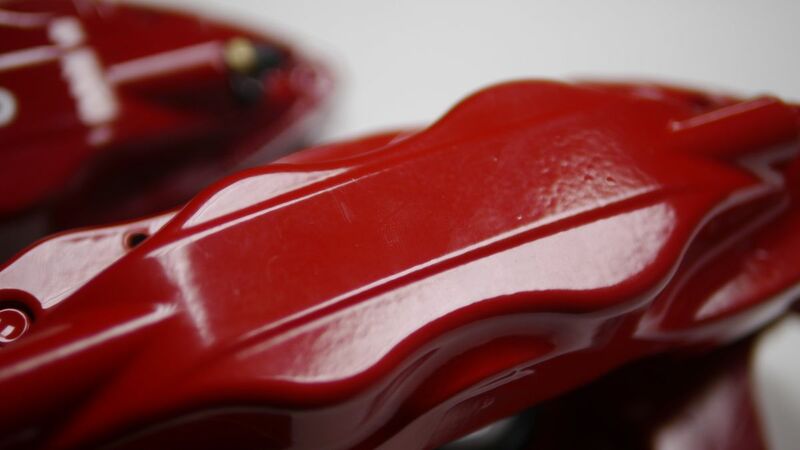 Are your calipers maroon, brown or even black from having too much fun with them? Is the clear coat flaking? Pink from the sun and wheel cleaning chemicals? For EVO Brembo caliper painting and rebuilding we use Centric (parent company of Stoptech and Powerslot). Front calipers are $375 for a pair for the service, rears are $260 for the pair. This is for a complete rebuild and powdercoat of the calipers. Basically they are re-manufactured to like new condition. 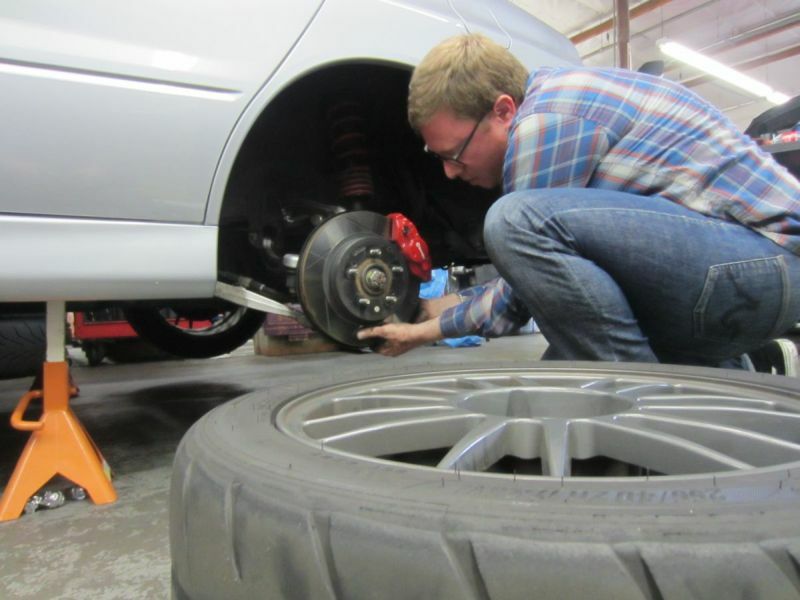 It takes about 5-6 working days to do your calipers so plan on some downtime with your car. 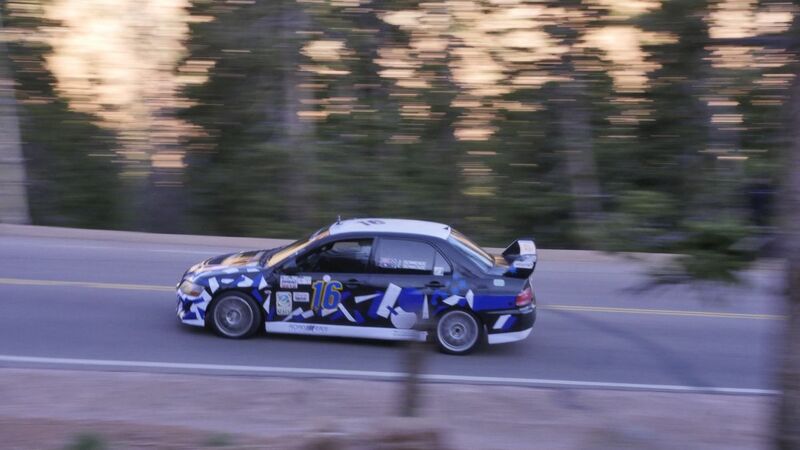 At the last Redlint Time Attack we finally killed one of the first 2.4 EVO motors in the US. 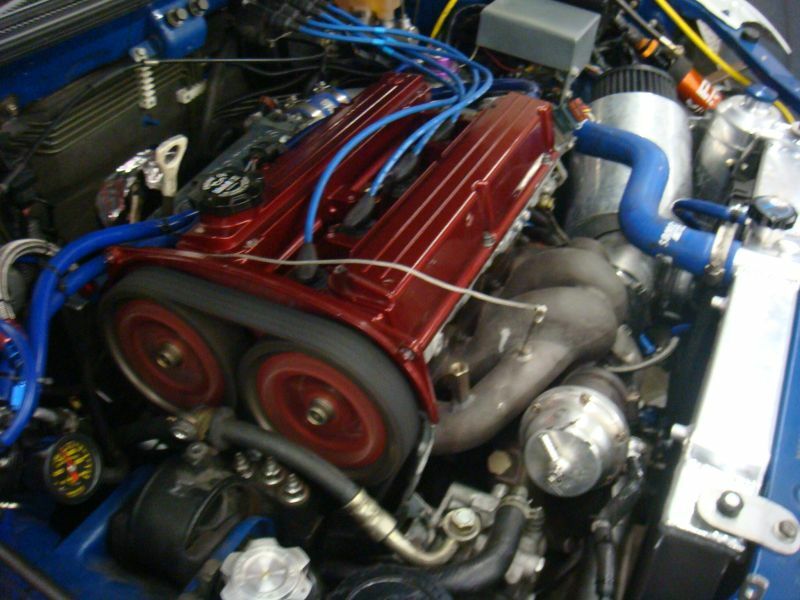 This was the third 2.4 EVO motor we built back in 2004 for our shop EVO 8. 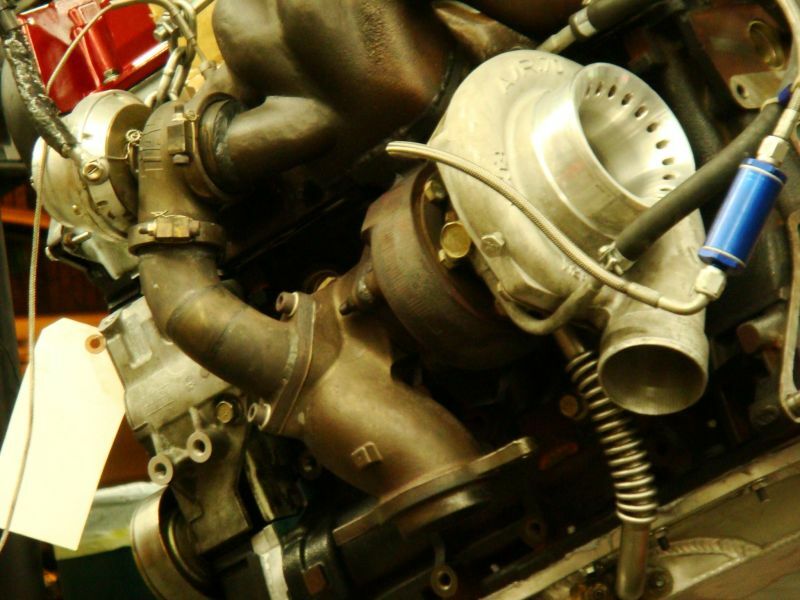 I dont like the smaller available sealing surface available on a 2.4 block that has been bored .020″ oversized, the head gasket (along with the assistance of 520 ft lbs of torque) is what finally let go on the motor. 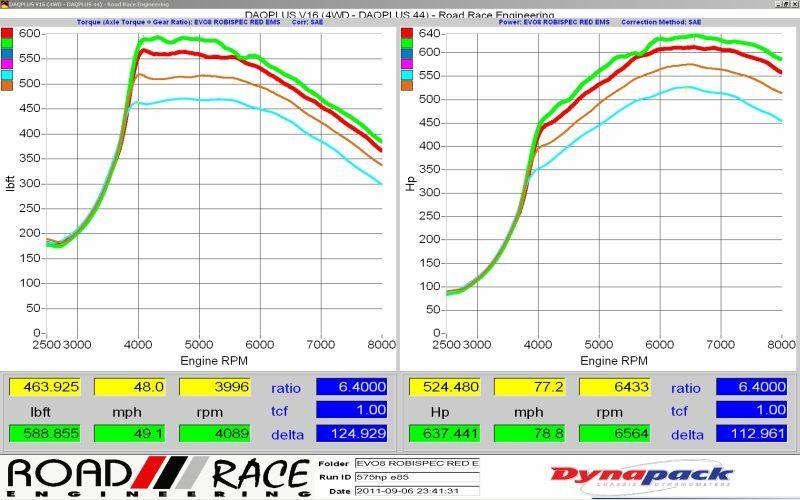 So we reused the Mitsubishi 2.4 crank and took the opportunity of it being all apart to switch back to a 2.0 block for a 2.3 stroker motor. Wiseco pistons, Manley rods, new bearings and a general freshen up. We’ll be hanging the motor in the car this week. 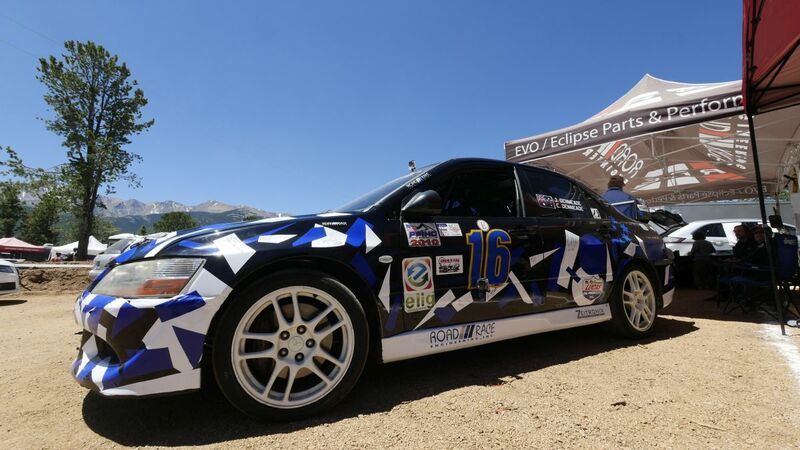 I got a special invite to attend the Global Time Attack at Willow Springs. 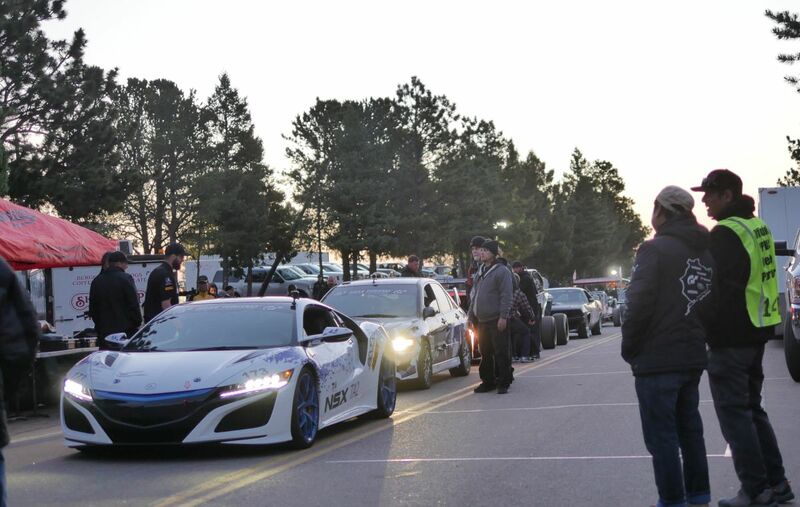 it is essentially all the fastest cars in the west who could care less for Redline Time Attack. 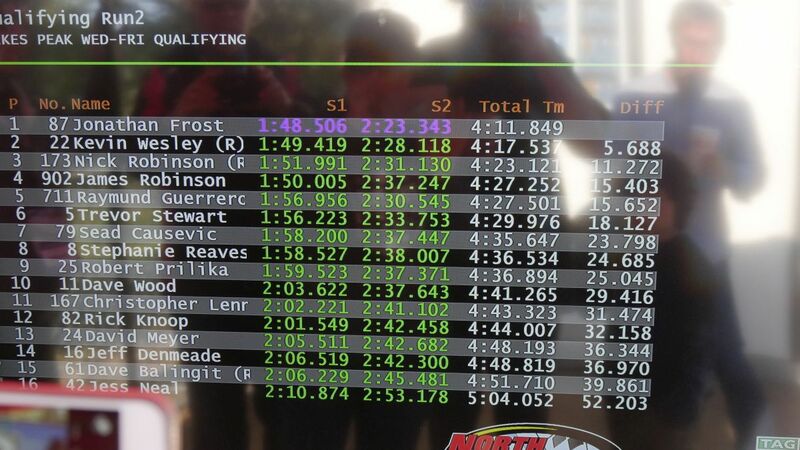 Records were destroyed to back the fact that GTA has the fastest time attack cars running in their series.